Everything is bigger in Texas, including the wine. With more than 300 wineries in the state, Texas has become the fifth largest wine-producing state in the U.S. Although, most of the wine it produces is sold within its own borders. In other words, you won’t be able to get your hands on too many bottles outside the Lone Star State. 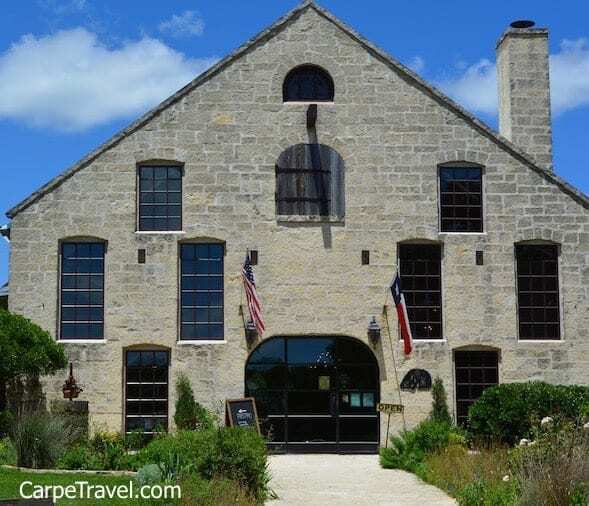 If you want to get a taste, it’s time to plan a visit and I would suggest starting with Texas Hill Country wineries. With more than 55 wineries in the Texas Hill Country, the area is not only producing some excellent wines but has become the second most visited wine region in the United States, only behind Napa and it was named one of the 10 wine destinations by Wine Enthusiast Magazine. Texas Hill Country is definitely a destination wine lovers should explore. 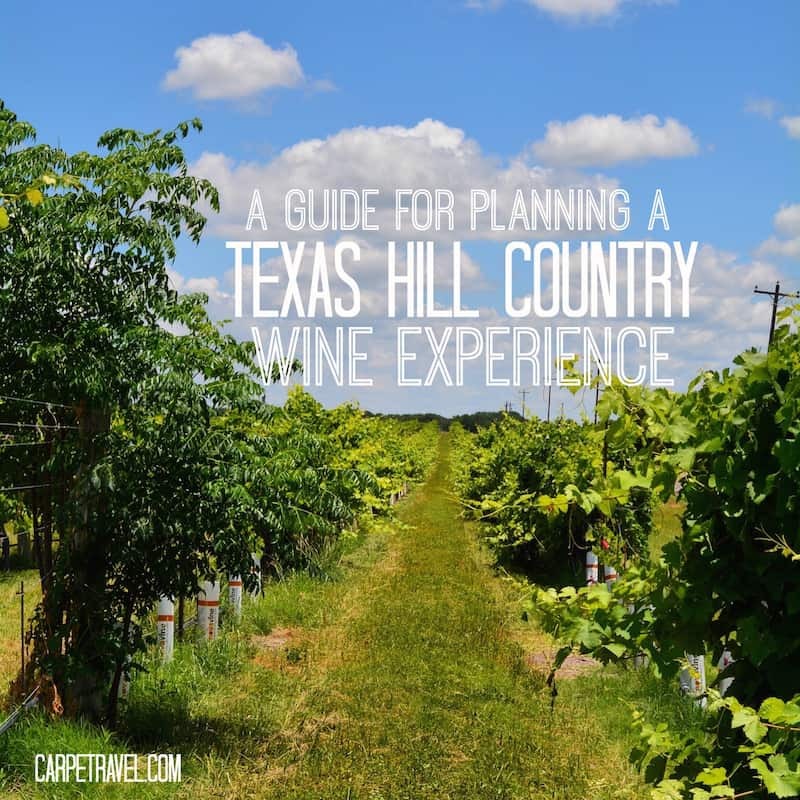 I’ve put together a guide to help you plan your Texas Hill Country wine adventure that maps out wineries not to miss, apps that can help along the way, which wine trails to select from and much more. Did you know Texas has eight officially recognized winegrowing regions; these are known as American Viticultural Areas (AVA). The most important features that characterize a winegrowing region are the interrelated factors of climate, soils, and topography. The Texas Wine Industry is only about 35-40 years old and winemakers are still exploring what are the optimal grapes that will grow in Texas. 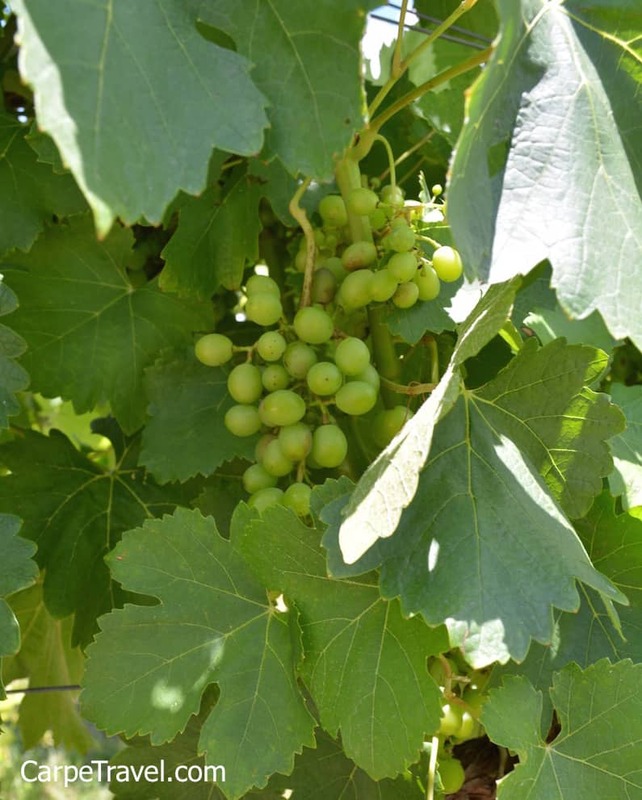 However, the warm Texas climates – hot summers and cold winters – allow the grapes to achieve full ripeness, excellent skin color and rich concentrated flavors. So far winemakers in the Texas Hill Country AVA have seen huge success with Tempranillo, a common Spanish varietal. (Always try a Texas Tempranillo. They’re typically amazing!) Grenache, Syrah, Mourvedre and Viognier are also popular varietals growing well in Texas. Cabernet Sauvignon is widely grown as well, but I would suggest the weather/climate limits how it turns out as a stand-alone wine. 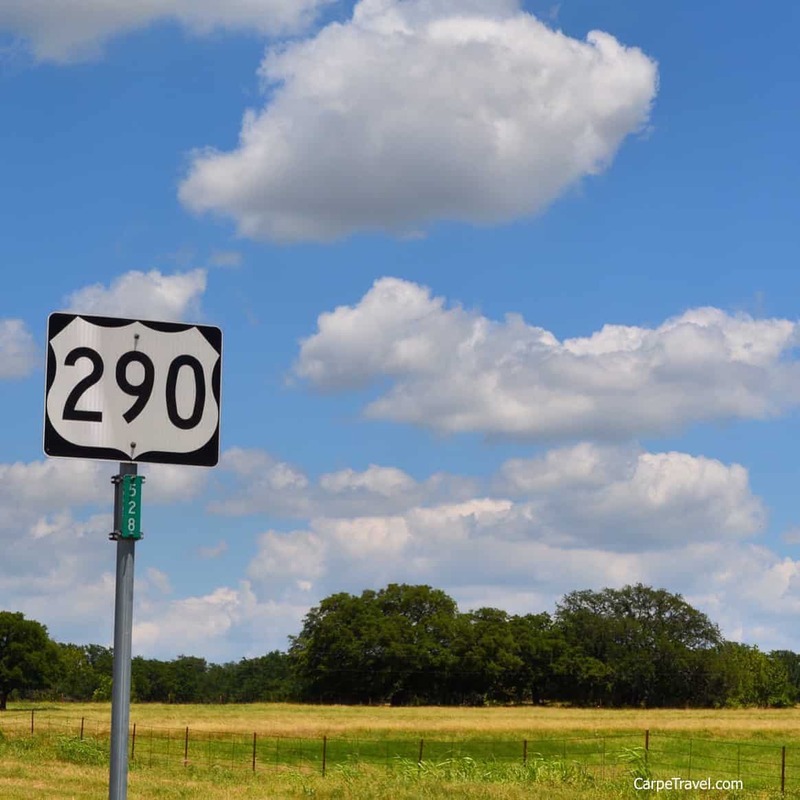 The most popular – and well-known – Texas Hill Country wine trail is the Wine Road 290, however, it’s not the only one. With more than 55 wineries in the Texas Hill Country AVA, there are a few other trails you can (and should) explore. 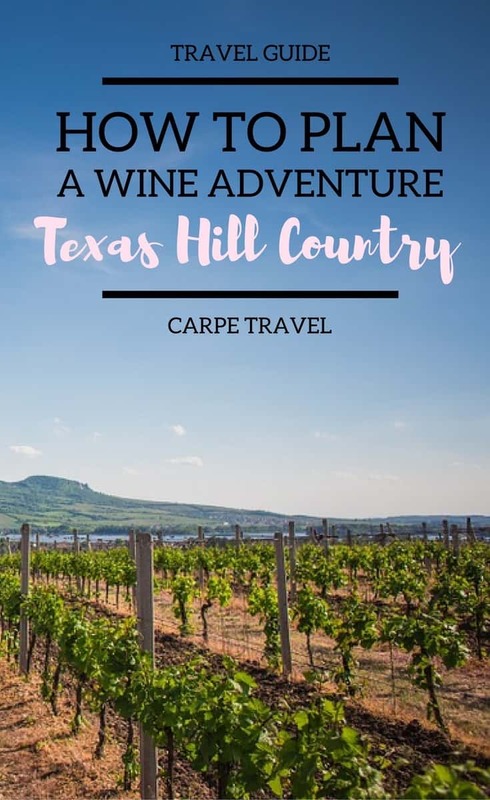 Texas Hill Country Wineries on The Guadalupe Wine Trail Include: Singing Water Vineyards, Kerrville Hills Winery, Dry Comal Creek, The Chisholm Trail Winery, Sister Creek Vineyards, and Bending Branch Winery. The Guadalupe Trail extends south of Fredericksburg on I-35 to Kerrville, through Comfort and Sisterdale and ends in New Braunfels. The Colorado River Wine Trail starts just north of Marble Falls and heads into Burnet, Lampasses, and San Saba ending at Lake Buchanan. Like The Guadalupe Wine Trail, it’s dotted with a handful of family owned, boutique wineries. I loved visiting Texas Hills Vineyard. Not only were the grounds and tasting room welcoming, but the wines were excellent. 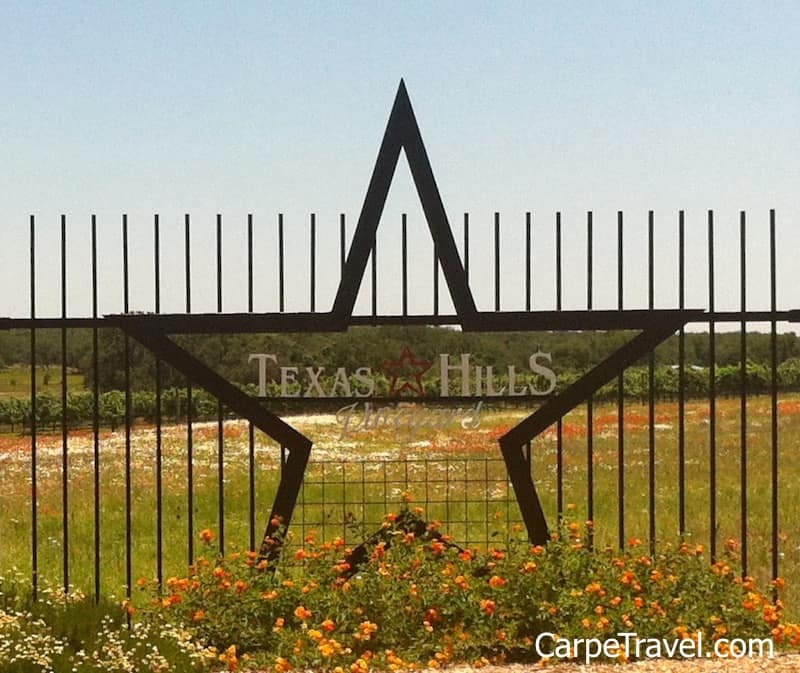 Texas Hills Vineyard produces 100 percent Texas wines, which can’t be said for all Texas Hill Country wineries. In fact, Texas Hills Vineyard is the largest Texas producer that uses 100 percent Texas fruit. The wines Texas Hills Vineyard produces have an Italian influence, make sure to try the Sangiovese. The staff in the tasting room was extremely knowledgeable and made sure you got a good overview of the vineyard’s background. Now, we did go on a Friday so we were the only ones there. If you can make that work into your calendar do it. The weekends can be a bit hectic with live music in their outdoor seating area. Although, doing a wine tasting and purchasing a bottle to enjoy with your picnic lunch with the band playing in the background can be pretty nice too. Given we visited on Friday, the vineyard was very friendly and accepting of our kids being with us. However, I wouldn’t suggest this on the weekend. Location: Texas Hills Vineyard is located one mile east of Johnson City on Ranch Road 2766, the road to Pedernales Falls State Park. Owners and winemakers, Bill Blackmon and Chris Brundrett both grew grapes and made wine for other companies until 2008 when they broke out and started William Chris Vineyards. The tasting room used to be in a small barn but has since been upgraded to a new, open tasting room with amazing views overlooking the outside seating area and vineyard. The tasting area is fairly small, albeit new and quite lovely inside. They have arranged an attendant in the outside the tasting area who welcomes you as you leave the parking lot. The attendant is there to help space people out at the tasting bar to prevent overcrowding inside. While this may seem annoying it does allow for a much better experience once inside. If you don’t want to wait plan ahead and make a reservation. Although, we went on a Saturday around 2pm and only had to wait about 15 minutes before going into the tasting room. Insider Tip: Make sure to ask “Who Let the Dogs Out”. You might just like what they pour next. At Pedernales Cellars you can expect a formal presentation and overview of the wines during the tasting. 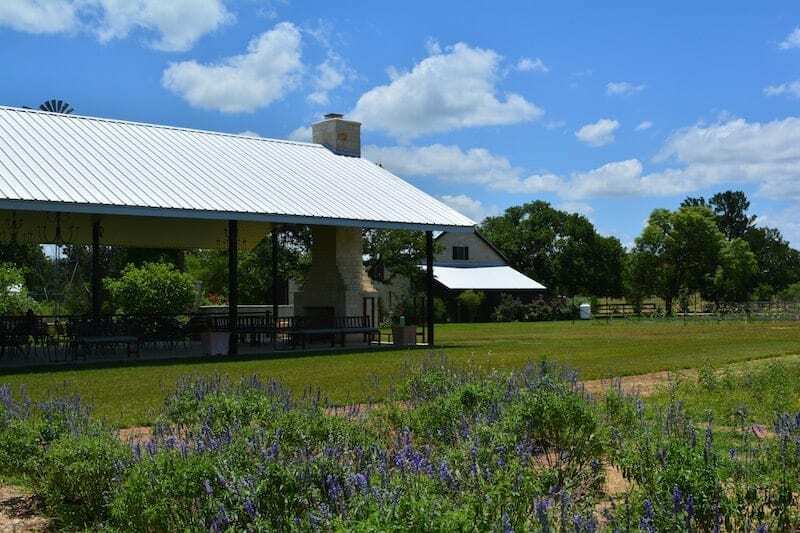 The boutique winery produces 100 percent Texas wines and offers two tasting options. The first tasting includes its general wines and the second is the reserve wines. With the reserve tasting you have the opportunity to taste wines which were exclusively available to wine club members – library wines, estate blends, and older vintages. 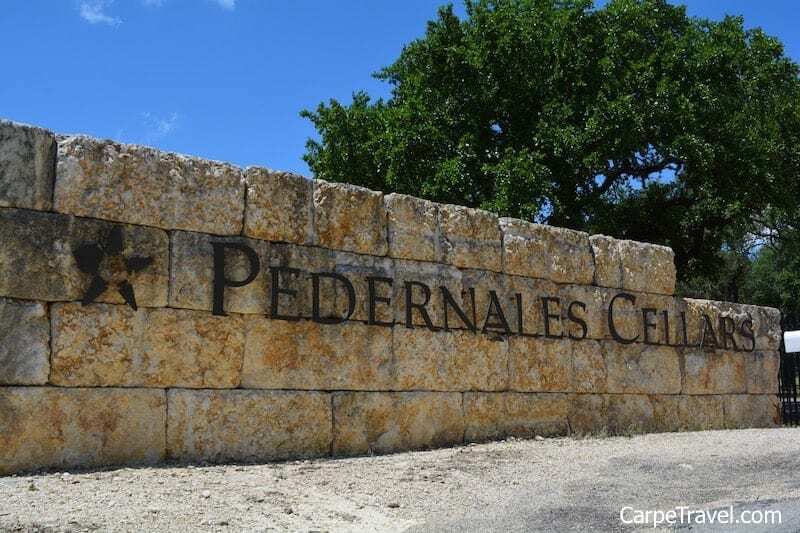 We did both tastings and while the wines were good in the first, the reserve provided a completely new view on the wines Pedernales Cellars produces. Simply put, age the red wines you purchase – even if they are not reserves – and drink them in three to five years. They will be completely different wines – smooth, layered, absolutely wonderful. You can tour the geothermal barrel cellar on Saturdays and Sundays for free. 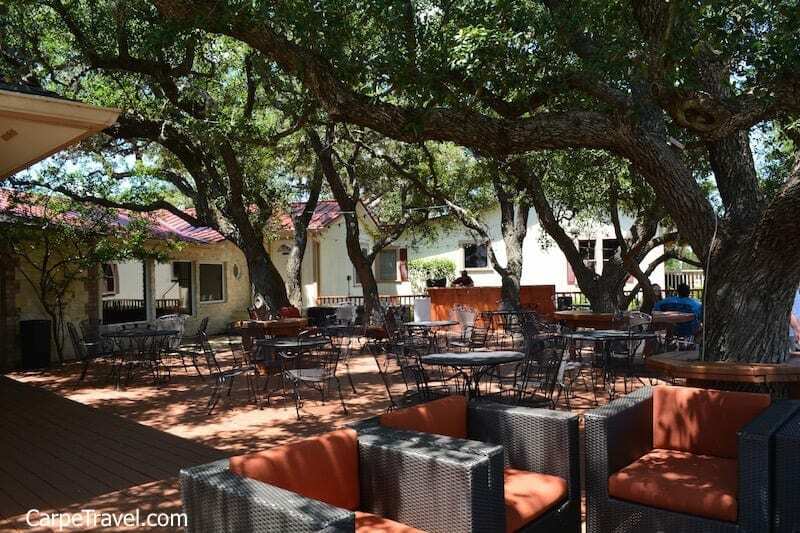 Pedernales Cellars has a huge, lovely tree-covered deck with breathtaking views of the Pedernales River valley. Purchase a glass of wine (or a bottle) and kick back to enjoy the view after your tasting. What started as a husband and wife hoping to – maybe – create a 1500-case winery in the Texas Hill Country when they planted their first vines in 1993 has become a 100,000-case per year winery. Not only has Becker Vineyards grown in production but it has received numerous awards for its wines. Becker Vineyards is popular and can be standing room only if visiting on a weekend. They have done a great job in utilizing the large indoor and outdoor space to provide numerous tasting stations. There is an onsite restaurant and multiple tables and covered seating area throughout the grounds. It’s almost a destination in itself…you can easily spend the day here if you simply want to be outside with friends soaking up the endless views of vines and lavender fields while sipping good wine. If you do visit Becker Vineyards look into doing the “Reserve Wine Library” tasting. The library sessions are $60 for the general public and $50 for Wine Club Members. Messina Hof wines have received numerous accolades, so many in fact that it is the most Awarded Winery in the Southwest. 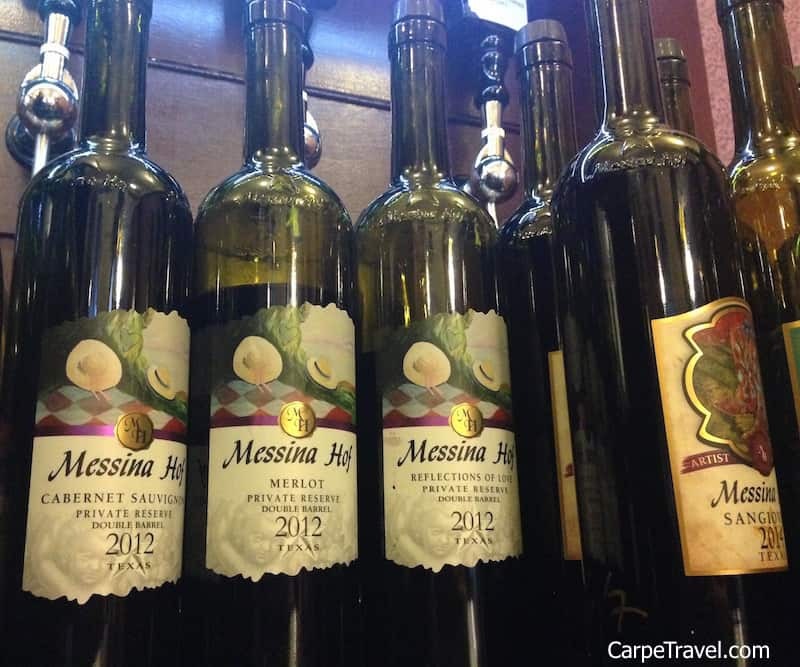 I’m not surprised as the wines are wonderful… Messina Hof currently makes its wine from 28 vineyards 1,050 acres and produces more than 85 wines from 27 varietals. There’s a lot of wine to sample…don’t feel bad or compelled to do them all. Messina Hof has been family owned and operated since Paul Bonarrigo and his wife, Merrill produced their first vintage in 1983. Paul is the first-born son in the Bonarrigo Family who has been making wine outside of Messina, Sicily since 1800. A first generation Italian-American, he went on to study and practice physical therapy but wine was always in his blood. When he moved his practice to Bryan, TX he teamed up with Ron Perry and planted 13 vineyards all over Texas with 50 Varietals to see where certain varietals should be grown. The rest is history…you can also read more about Messina Hof in my interview with Paul. The Messina Hof location in Fredericksburg is a must if you’re in the Texas Hill Country. However, it’s not the only location. 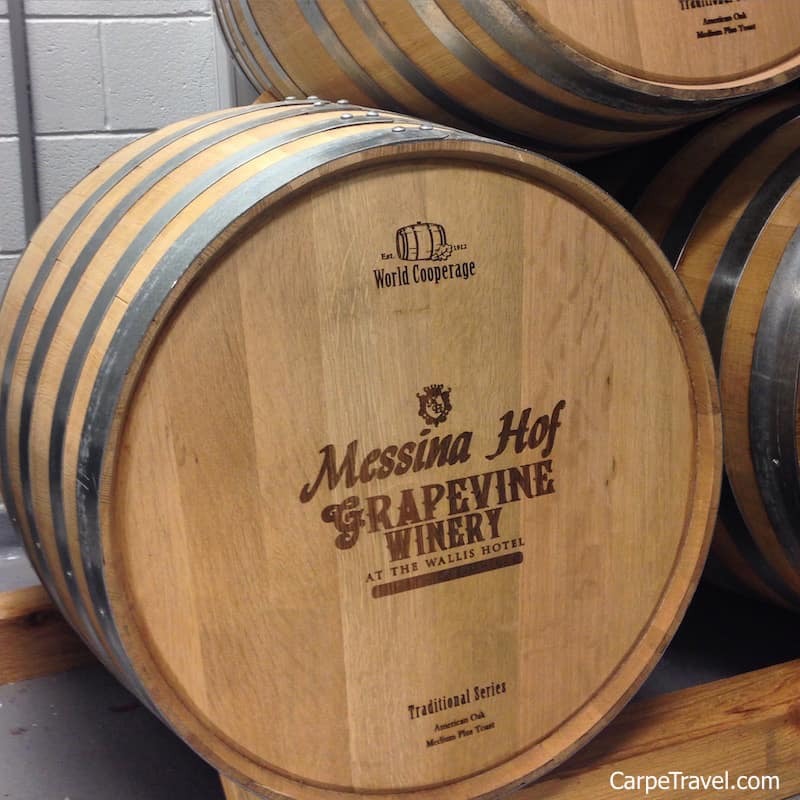 There are two additional tasting rooms you can sample Messina Hof wines at in Texas – Grapevine and Bryan TX. The Fredericksburg location is home to a tasting room, restaurant and the Manor Haus B&B. There are several options for doing wine tours in the Texas Hill Country. From self-guided to group tours to private wine tours. It’s really all about what you want to get from the experience – and how much you want to spend. A self-guided tour is just that – one you do on your own. This has its pros and cons, for one someone has to drive. In other words, someone can’t partake in all the tastings. However, this option is the most affordable and allows for the most flexibility. If you do choose to do it on your own, plan in advance which Texas Hill Country wineries you want to visit to ensure you maximize your time. Look at the hours of operation and distance from one another, as well as where you can stop in for lunch or pull up under a shade tree for a picnic. This map is one of the best I’ve found for helping do this. This is a great – and affordable – way to see 12 Texas Hill Country wineries located along the Wine Road 290. Although, I wouldn’t suggest hitting all 12 in one day… For $20 you essentially have a driver – all day – that will take you up and down the Wine Road 290. The Fredricksburg 290 Wine Shuttle picks people up directly across the street from the Fredericksburg Visitor Center from 10am – 5:30pm on Saturdays and 11am – 4:30pm on Sundays. You can then hop on or hop off at any of the 12 wineries along its route. Stay as long as you like and then take the next shuttle to another winery on its route or return to Fredericksburg. A few of these wineries also have onsite dining. You can plan to have lunch at one along the way or pack a picnic lunch as all of them have spots for a picnic lunch. If you’re visiting on a weekend, you might just be able to catch some live music too. 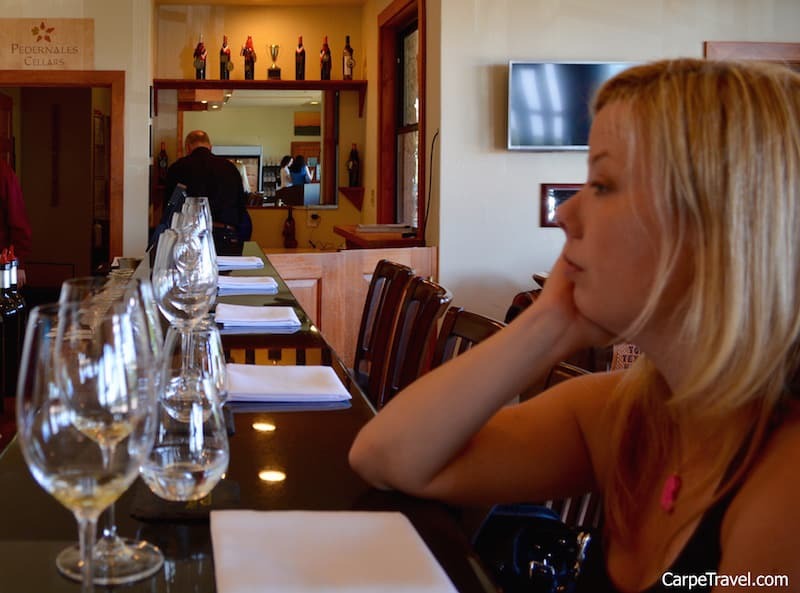 Stops that offer food include: Becker Vineyards and Grape Creek Vineyards. There are countless limos and bus drivers who operate wine tours in the Texas Hill Country, but how do you know which ones know their vines, let alone can ensure your group gets into the winery? Simple, just take a look at the approved Wine Road 290 Tour Operators and see when one of the independent companies is available for your group. The Texas Hill Country Wineries association also has a few recommendations. The next time we’re there I’m going to have to try the Hill Country Bike and Wine Tour. Most group tours will include three or four wineries, lunch and tasting fees. The price changes depending on how many wineries you visit (word to the wise, shoot for a max of four). You should expect to pay around $150 per person. 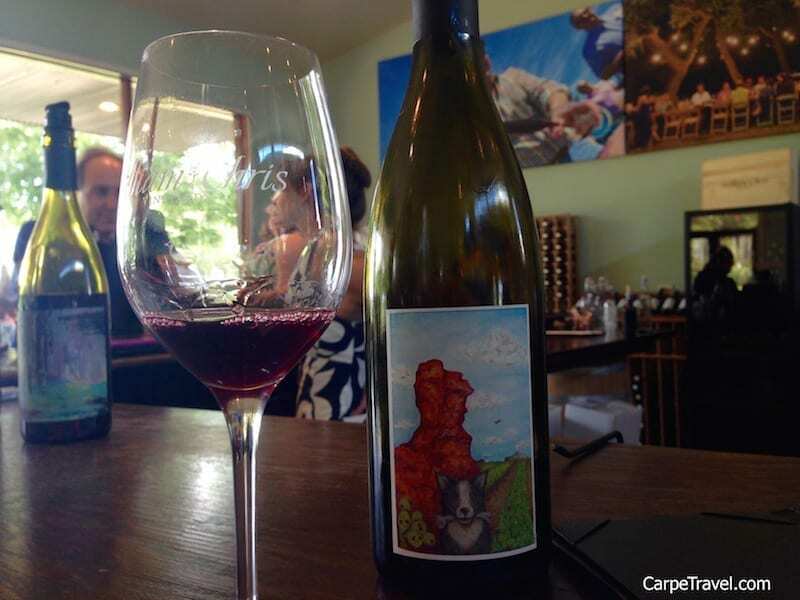 – Most Texas Hill Country wineries have tasting fees, ranging from $5 to $15. Some include an imprinted glass as part of the fee and you MAY get a refund your tasting if you purchase three or more bottles. – Not all wineries in the Texas Hill Country produce 100 percent Texas wine. Make sure to ask during the tasting. You can also tell by looking at the front label. If it’s a Texas wine on the label it will say Texas or a political sub-division of Texas (such as a Texas county) or a Texas American Viticultural Area (AVA) such as Texas Hill Country or Texas High Plain. 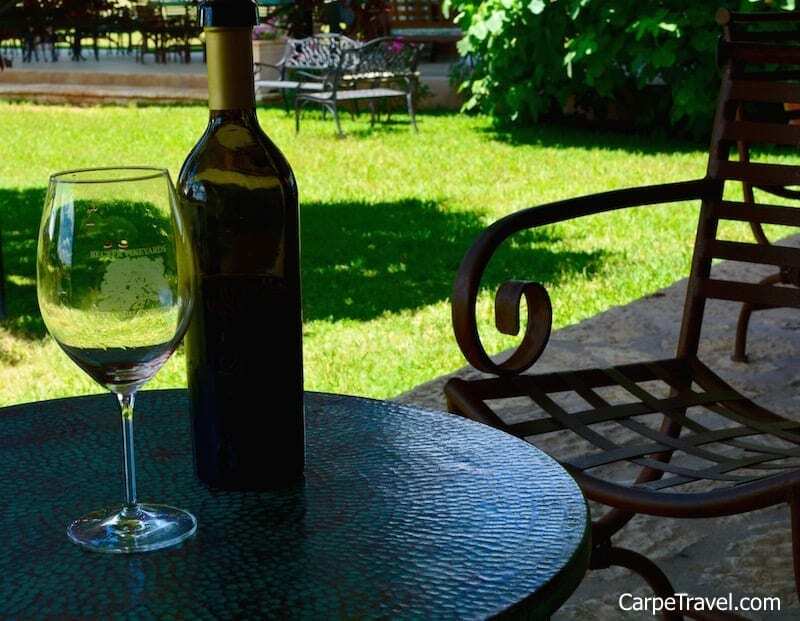 – The busiest day of the week to visit wineries in the Texas Hill Country is Saturday. If you can go on Friday, you’ll have a more tame experience, and more than likely more flavorful since you’ll have more attention from the staff. 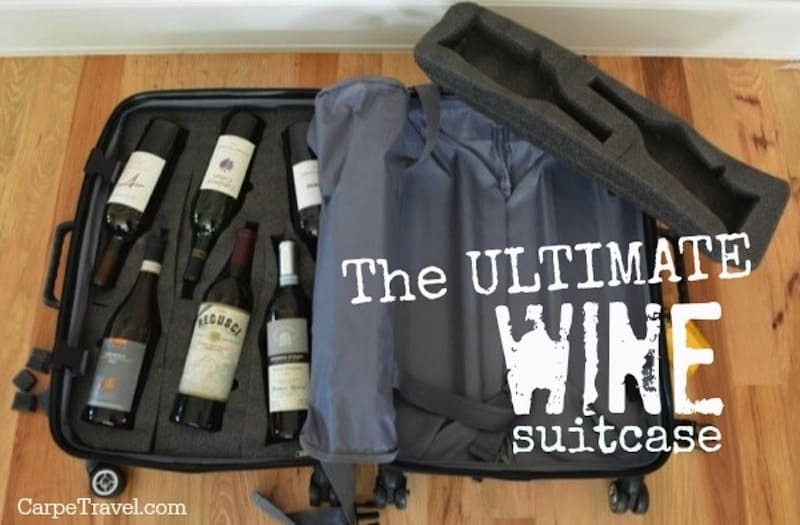 – It’s hot in Texas so you plan to buy wine, bring a cooler with ice. The TX Wine Passport quickly finds wineries by region or your current location. I really like the Near Me feature since you can easily locate wineries close to your location. The app also lets you check events member wineries are hosting, wine pairings, live music and vintner dining experiences. The coolest feature is the Passport. Visit Texas wineries and get a stamp in your passport (the app detects your GPS location while at the winery). Accumulate stamps and redeem $10 for every 10 stamps at Passport Participating Wineries. The Texas Wine Trails app is an extension of Texas Wine and Trail Magazine. It includes information on all the wine trails in Texas, details about the wineries, reviews, hours of operation, tour companies as well as information about the types of varietals grown in Texas. 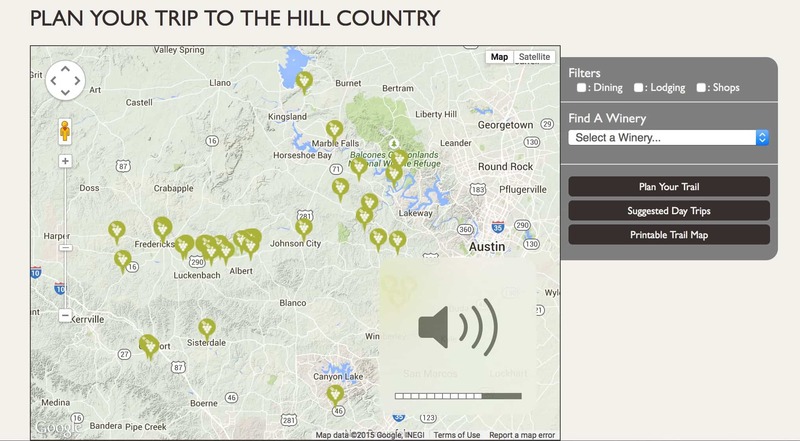 The Texas Hill Country app is your typical travel guide for the region. It includes restaurants, hotels, special offers and discounts, weather updates, interactive map and ideas on things to do in the area. The book – Texas Hill Country Wineries (Images of Modern America) – helps provide background on the local wineries history of the rolling viticulture landscape. Have you visited the Texas Hill Country? What are your favorite wineries? Was this guide helpful? Pin it for later!! 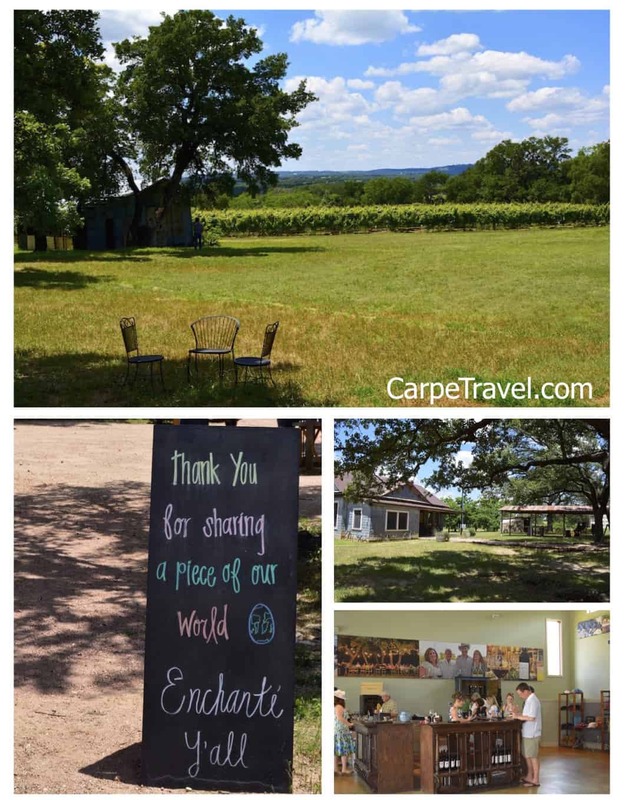 Looking for more ideas for things to do in Texas or Texas’s wine regions? 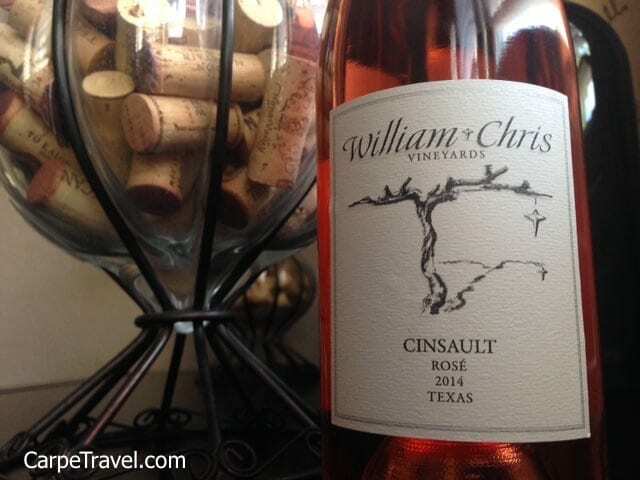 Click on over to Carpe Travel’s Texas Wine Travel Guide. A Texas Hill Country wine adventure sounds fun. It’s nice that William Chris Vineyards is so pleasurable for you. Great Article! 2 years ago I also planned winery trip to Texas Hill Country with friends. It was a great experience. Memorable for all of us!